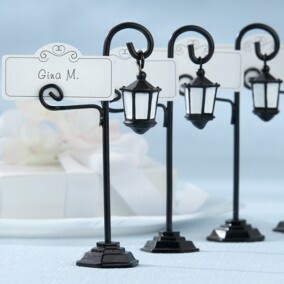 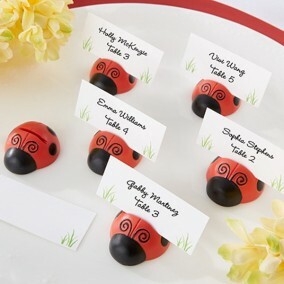 You'll give your guests a chance to turn over a new leaf when they arrive and see their seating assignments cheerfully displayed in these delightful keepsakes. 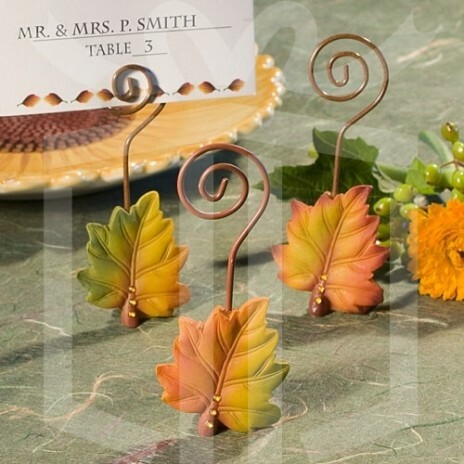 Each leaf place card holder measures 9.5 cm x 4.5 cm and features a dramatic poly resin fall leaf charm in three assorted vivid fall colors brilliantly embedded with three amber rhinestones at its stem, with a wire twist extending at its top to hold place cards, photos and more. 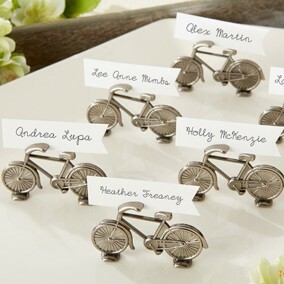 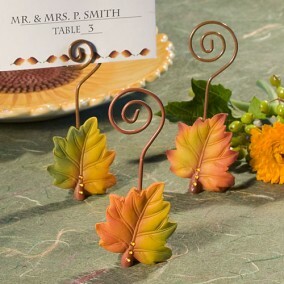 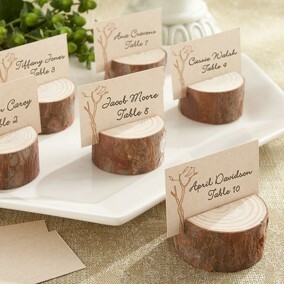 The Wedding Shop exclusive leaf design place card holders come bulk packaged with fall themed place cards included.